The Pentagon has launched a new board to review the threat posed by prisoners held without charge at Guantanamo military prison. The move is aimed at aiding the eventual closure of the facility, a goal that the Obama administration has failed to achieve. The Periodic Review Board has renewed its work, but has not yet considered any individual cases, the US military said Wednesday. "This process makes an important contribution toward the goal of closing Guantanamo by ensuring that the government has a principled and sustainable process for reviewing and revisiting prior detention determinations in light of the current circumstances and intelligence," a Pentagon statement said. 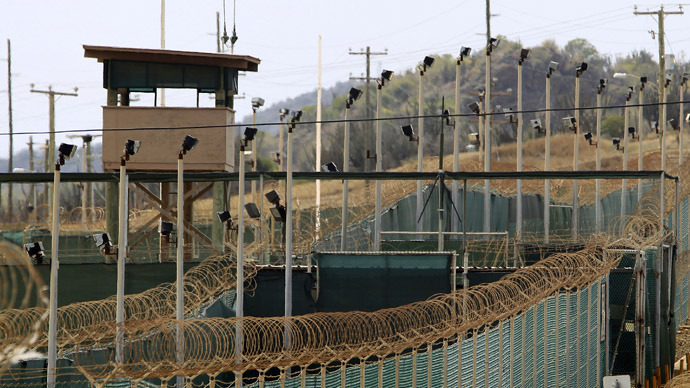 There are currently 164 prisoners captured as part of America’s War on Terror being held Guantanamo. Many of them have spent years in detention without being charged or tried. Between 60 and 80 inmates cannot be prosecuted at all for various reasons, but the US government intends to hold them indefinitely because they are considered too dangerous to be released. The board’s task is to evaluate how big a threat Guantanamo prisoners actually pose, not the legality of their detention, the Pentagon statement said. The latter can be challenged by the inmates through the US court system, it said. There are representative from across US government branches, including the Departments of State, Justice and Defense, the military Joint Chiefs of Staff and the director of national intelligence. The announcement comes a day after the Pentagon announced the appointment of congressional committee attorney Paul Lewis as its special envoy to work on closing Guantanamo. He currently works as an attorney for the Democratic minority on the House of Representatives Armed Services Committee. The position he is to take starting November 1 is one of two created by the Obama administration to tackle the Guantanamo debacle. His counterpart at the State Department, Attorney Clifford Sloan, was appointed in June. 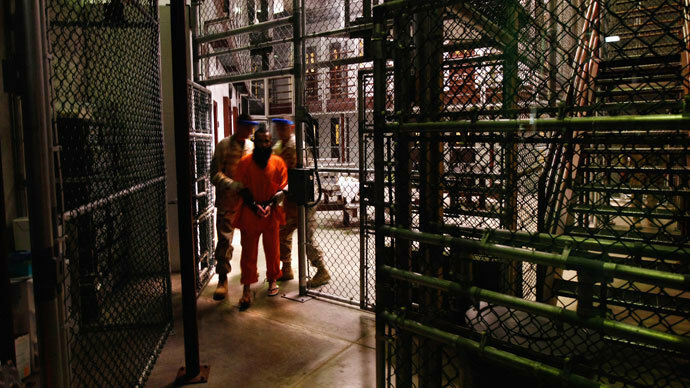 Obama campaigned on the pledge to shutter Guantanamo in 2008, but so far his administration has failed to deal with the notorious prison, which was established by his predecessor George W. Bush. The effort was reinvigorated this year amid a hunger strike by dozens of Gitmo inmates, which led to some of them being force-fed. 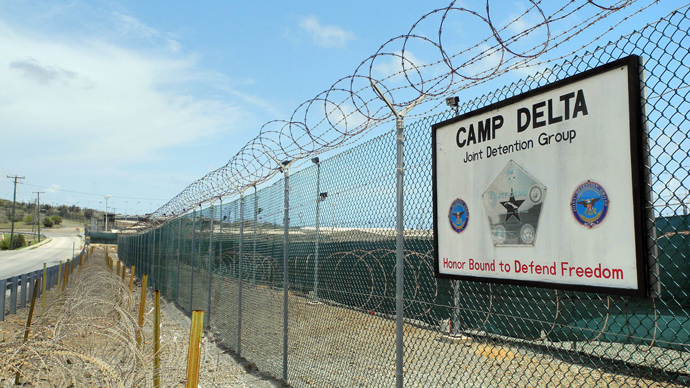 The idea that Guantanamo should be kept running has many proponents in both Republican and Democrat camps. It was brought into spotlight this week, when three Republican senators advocated taking a captured Al-Qaeda leader there for long-term interrogation. Senators Lindsey Graham, Kelly Ayotte and Saxby Chambliss said they hoped to make Obama hand over to Guantanamo Abu Anas al-Liby, a Libyan suspect in the in the 1998 bombings of US embassies in Kenya and Tanzania. US special forces captured him in a covert raid in Tripoli on Saturday and transported him to a Navy ship in the Mediterranean. "Putting him on a Navy vessel for a matter of days or weeks is not a proper way to gather intelligence in the war on terror. This system of using Navy warships in lieu of Gitmo compromises our ability to gather intelligence," said Graham, a leading Republican voice on foreign affairs. The raid to capture the alleged terrorist mastermind has apparently triggered a governmental crisis in Libya. 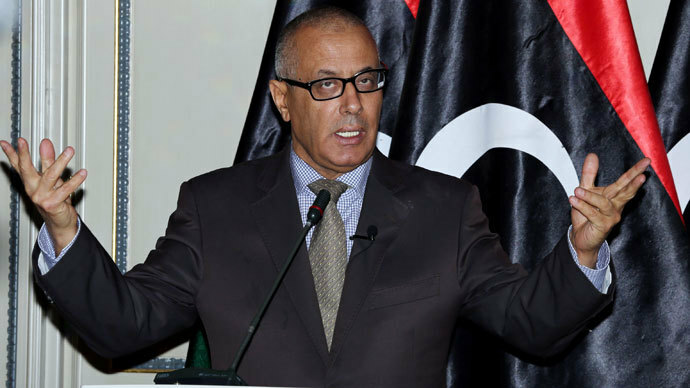 On Thursday a group of gunmen has abducted Prime Minister Ali Zeidan. A statement by militia group calling themselves the Operations Room of Libya's Revolutionaries said it was retaliation for his government’s failure to stop the American operation.